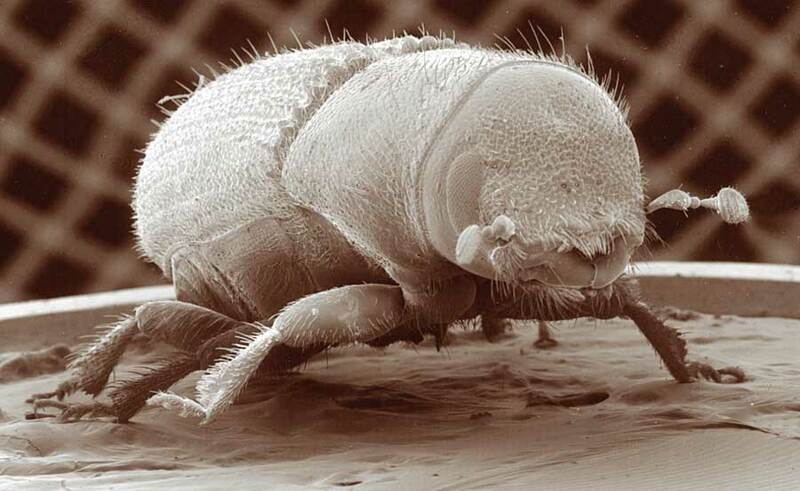 Imagine an insect as small as a fat grain of rice killing a tree that towers 70 feet above the forest floor. Seems impossible, doesn’t it? Not for the mighty mountain pine beetle! 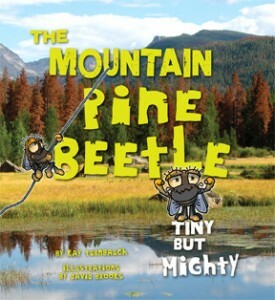 In this book for kids ages 8 to 12, learn how this tiny insect has managed to change our western forests. Discover how the trees are fighting back, and find out what you can do during this mighty mountain pine beetle epidemic. Available at your local bookstore or from Amazon. Published by Westwinds Press. Visit The Mountain Pine Beetle website. Puzzles, quizzes, video. Fun for all! “Imagine an insect as small as a fat grain of rice killing a tree that towers 70 feet above the forest floor. That’s as high as the biggest dinosaur. Seems impossible, doesn’t it?” It’s not, explains Kay Turnbaugh in The Mountain Pine Beetle. En masse, these tiny black insects can wipe out swaths of forests—in fact, it’s happening right now. Out West, these beetles have already decimated an area bigger than Maryland due to a combination of conditions that include warming temperatures (which allow the beetles to reproduce faster). Using photographs and playful cartoons of emotive beetles, Turnbaugh describes how beetles munch through pine bark, then lay eggs that metamorphose into adult beetles. A nefarious blue fungus hitchhikes in their mouths and ultimately kills the trees by depriving them of water. The mountain pine beetles can be valuable to ecosystems, as well: Fallen trees decompose, enriching the soil. Still, we must fight the plague of beetles. As kids eventually learn, too much of a good thing can have rotten consequences.